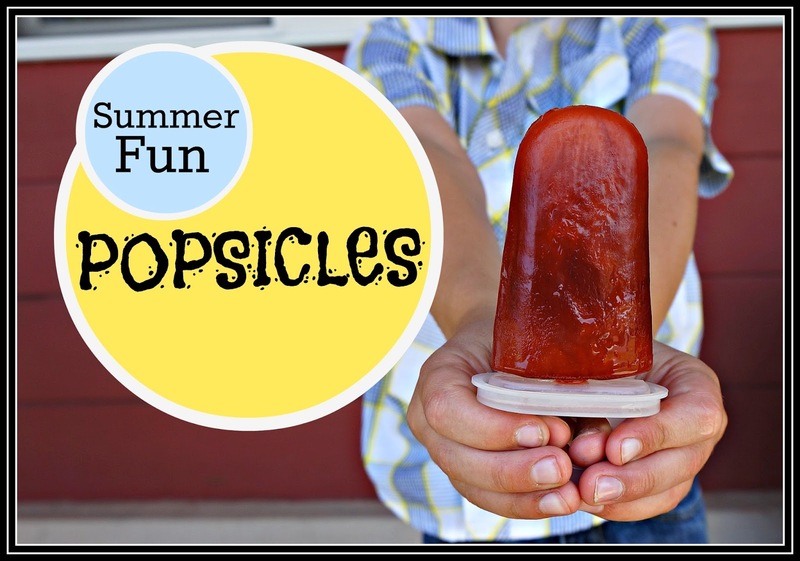 Pinterest is overloaded with popsicle recipes right now, and I've pinned my share of them. But last week, when my kids and I decided to make some, I fell back on the popsicles my mom always made when I was a kid. Turns out, it was possible to be a fun mom twenty years ago in the Dark Ages before the internet. 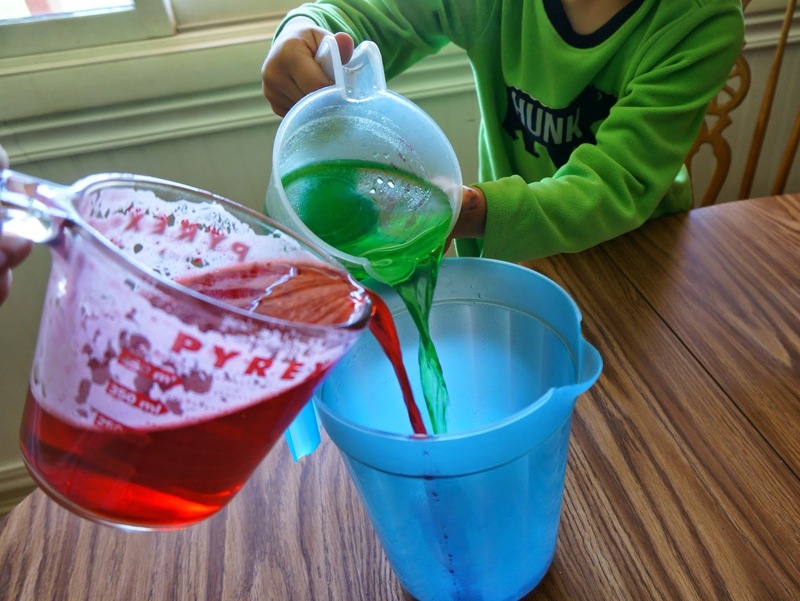 First, pour the jello into the boiling water. 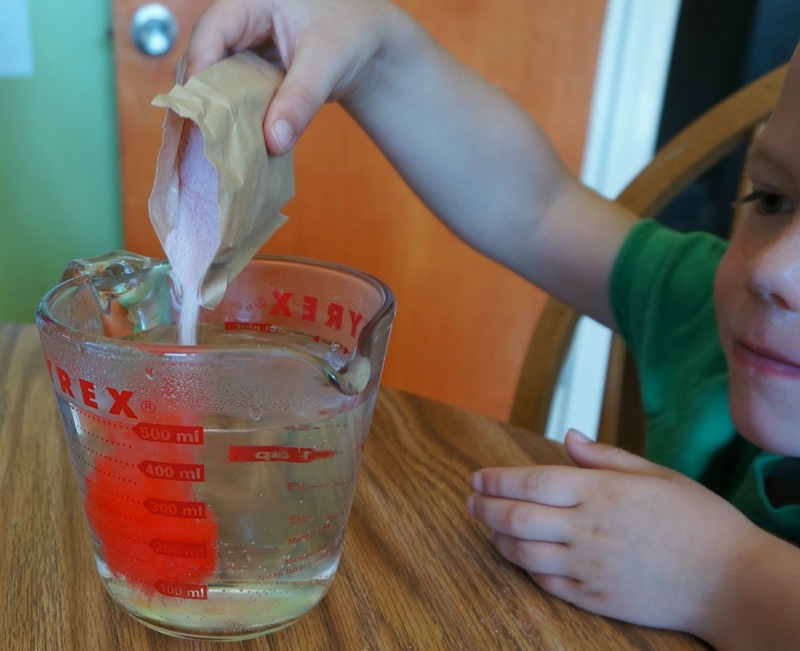 If you're having small children help you, keep their hands away from the measuring cup. Give it a good stir until completely dissolved. Then, pour the kool-aid contents into the cold water. Give it another good stir. Pour the two liquids together. You definitely don't have to use the same two flavors. 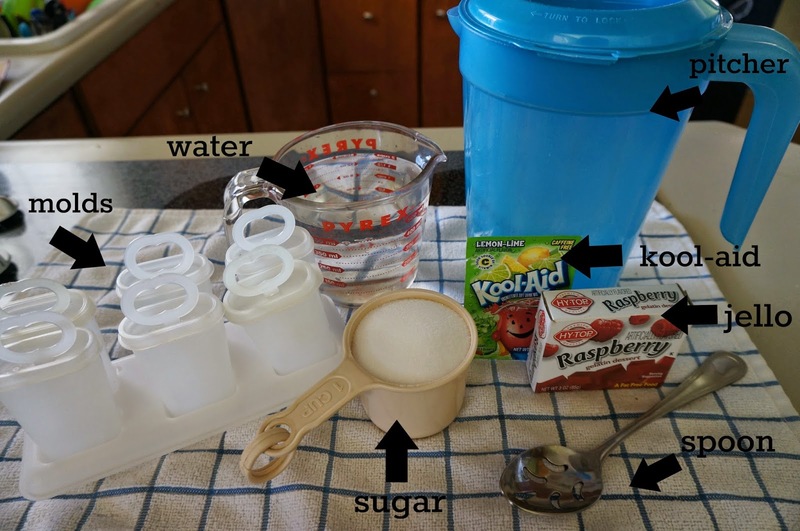 Here we used raspberry jello and lemon-lime kool-aid (not because we were trying to be creative but because it's what I had in our pantry). 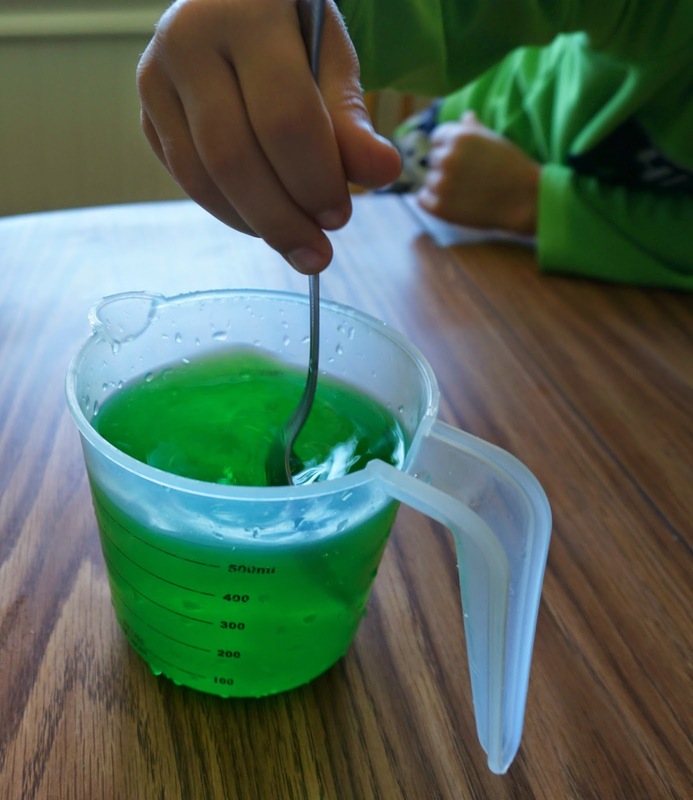 Pour in one cup of sugar and stir until dissolved. 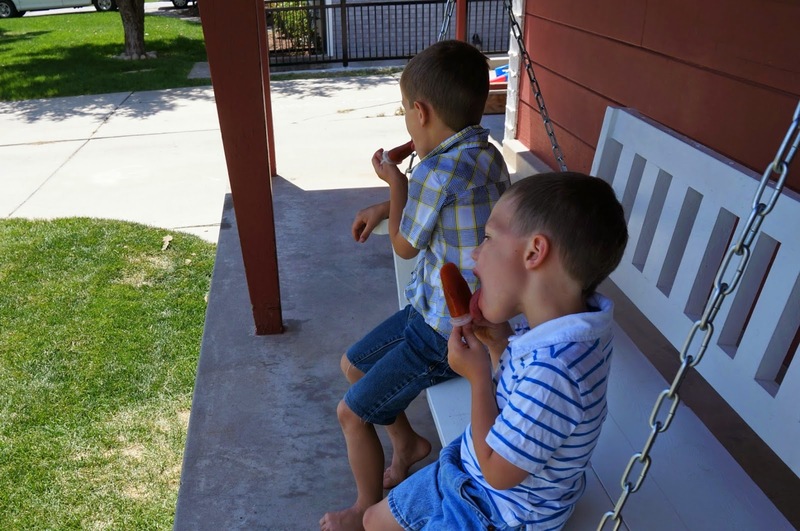 (One of the reasons I like these popsicles better than, say, just frozen juice is because the jello gives them a slightly softer texture, making them easier to bite into (if that's your thing)). Pour the mixture into molds. With these particular molds (which I think are made by Tupperware--I picked them up at a garage sale for a couple of dollars), I made about two dozen popsicles. Enjoy on a sweltering hot day, and think about what flavor you want to make next (lemon/lemon is one of my favorites!). Those look yummy! I just popped over from Almost Unschoolers and am glad I found your blog...I am your newest follower! Jello! I hadn't thought of that. Rather brilliant.